DVDFab Review - Is it the best DVD & Blu-ray Software in 2019? DVDFab 10 Review – Is it the best DVD & Blu-ray Software in 2019? When someone hears the word DVDFab, the first thing that comes to mind is DVD Copy software. However, DVDFab is much more than a simple DVD copier. Also, although the software originally was developed for DVDs, nowadays it supports all new disk media types such as Blu-ray, 4K Ultra High Definition Blu-rays etc. It has a variety of copy and conversion tools to handle practically any DVD and Blu-ray copy/ripping needs, such as removing DVD protections, copy protections and region codes, copying, ripping and converting Blu-Ray, converting video to your specifications, and transferring converted files to iPod, ZUNE, PSP, other media players etc. The following article is a DVDFab 10 Review of the different products and features of the brand, together with actual testimonials I have gathered from various websites. DVDFab is a bundle of software tools dedicated to the work on DVD and Blu-Ray Copy, DVD and Blu-Ray ripping, Video Conversion, protection removal from DVD and Blu-Ray disks, 4K video converter and much more. This brand has been in the market for more than 14 years and is considered one of the most reputable and trusted software products in the area of DVD/Blu-Ray management. With more than 80 million users worldwide, DVDFab has been battle-tested and improved over the years (current version is DVDFab 10.x) to offer an excellent all-round product in the area of media disks management. The company develops tens of software tools and we will not list every one of them here. Only the most useful and best selling tools are shown below, but by visiting the main website of the vendor you can read about the whole product portfolio. Also, for a limited time you can use Coupon Code B2S20 to get 20% discount on all Software products of the company. This is the most popular product of the brand. It is a DVD copy/cloner/burner/decrypter/backup tool that will remove all copy protections (it has built-in CSS decryption etc), copy any DVD, burn to any blank DVD, compress content, write output to a folder or image on your hard drive, and can even copy damaged and scratched discs. With its six copy modes it makes copying a DVD a snap. A newer addition to the tool allows the removal of Cinavia watermarks that appear on protected DVD/Blu-ray disks, therefore you can create a backup DVD/Blu-ray and play it on Cinavia enabled devices such as PlayStation. This module can rip and convert any DVD into popular audio or video formats. 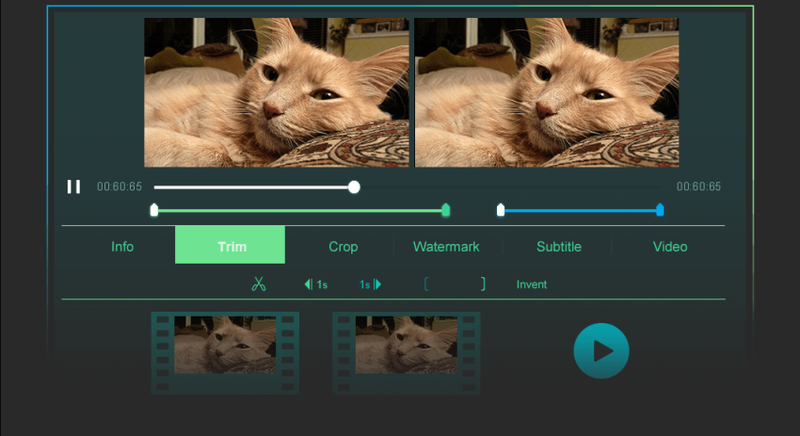 You can set the video format, audio format, output audio track and subtitle, and video effect. It has over 10 output modes and 50 preset profiles. The main purpose of this tool is to rip DVDs in order to transfer the resulting video content to other devices such as iPod, iPad, smartphones, tablets, some game consoles etc. As shown from the picture above, you are also in full control of the resulting ripped movie. You have full control of the start and end chapters, subtitles, audio tracks etc so you can remove or add elements as you wish. Another extremely useful tool is the Blu-ray copy since most media disks noways come on bluray. It removes Blu-ray copy protections and can clone, burn, decrypt or copy any Blu-ray disk. It can burn Blu-ray to any blank DVD or Blu-Ray disk, including DVD-R/RW, DVD+R/RW, DVD+R DL, DVD-R DL, and also BD-R 25, BD-RE 25, BD-R 50 and BD-RE 50 . Note also that it supports 3D disks as well. Just like the previous DVD Copy tool we’ve mentioned above, this one supports also removal of the Cinavia watermarking which is embedded in audio tracks therefore when you make a backup disk of an original you can use it on Playstation devices without problem (e.g PS3). The Cinavia solution is sold as separate license though. There are five copy modes, allowing you to customize your Blu-ray copy. It supports PAL and NTSC Blu-ray and multi-core CPUs for faster copy performance. A nice feature of bluray copy is that you can copy an expensive blu-ray disk to a cheap DVD empty disk (BD-9 and BD-5) thus saving money in the long run. This can rip any 2D/3D Blu-ray to video files that can be played on next generation consoles, such as the Xbox 360, and mobile devices like iPod and iPhone. It can also rip to audio formats. There are currently 9 preset conversion modes. It removes Blu-ray protections and converts Blu-ray 3D to 3D video files, retaining the 3D effect. The output ripped video file format can be AVI, MKV, WMV or MP4, H.265 and 4K videos. The output video can be retained in the same definition as the original (at 1080p or more) or converted to 720p according to your needs. With the editing tools, you will be able to customize your video effects. There’s also a shutdown function which will automatically shut down your computer as soon as the conversion process is complete. It supports the latest and most advanced technologies such as Passthrough, HEVC, 4K, etc. Ripping blu-ray disks is resource intensive task. 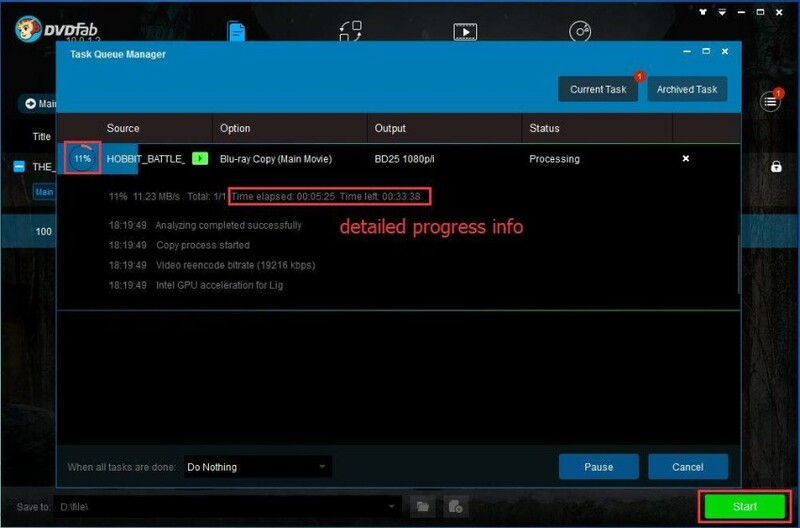 The tool supports multi-core CPUs and GPUs, NVIDIA CUDA and Intel Quick Sync for much faster ripping jobs. This is used to convert any Blu-ray to DVD-Video disc, in DVD format, which can be viewed with any DVD player. It removes all copy protections and is probably the only software tool that can do this job. 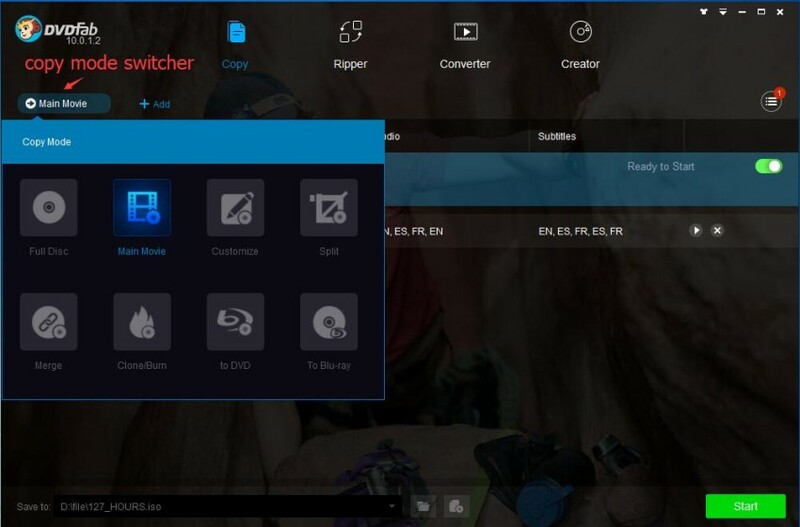 DVDFab Blu-ray to DVD converter is independent and converts Blu-ray to DVD without the help of other utilities. It converts files in batches and the output produced is outstanding with the least loss in quality. The input format to the tool can be a Blu-ray disk, ISO file and folder. The output from the tool is a conversion to DVD video disk (DVD-5, DVD-9), ISO or folder. These are used to remove encryption on DVDs or Blu-ray disks (including the newest 4K UHD bluray disks). These tools remove copy protections and region codes so you can watch any DVD or Blu-ray without restrictions. The tools work on the fly and can remove almost all known DVD and Blu-ray protections and region codes. Note however that this module can’t remove the Cinavia protection. For doing so you must purchase a separate product from the company called the Blu-ray Cinavia Removal tool or DVD Cinavia Removal tool. As mentioned above, this is a new and standalone tool from DVDFab with its sole purpose to remove the Cinavia protection from DVD or Blu-ray disks. With this kind of protection, all modern blu-ray players (including for example PS3) do not play disks that have the Cinavia audio watermark in them. This is to prevent users from making backup copies of their original disks. DVDFab Cinavia removal tool (for DVD or Blu-ray) removes the audio track with the watermark and replaces it with a comparatively lossless AC3 audio track. This means that you can now make backup copies of your protected disks without having problems to play the copy on a media player. This one converts video on your PC to video formats (including 3D) that can be played on multimedia devices. It can also convert DVD to all video formats, and it can even extract audio only from video. It has over 10 converter modes available suitable to convert video according to the destination device that the video will be played on, such as iPod, iPhone, iPad, PSP, ZUNE, NDS, Xbox 360, Apple TV, PS3 etc. Any input and output video and audio formats imaginable are supported, that’s why this converter tool is considered one of the most full-featured and powerful converters on the market. We are living in the era of UHD 4K video. In a few years almost all video and movies will be running on 4K UHD so users are in need of software tools to support this format as well. DVDFab UHD Tools include 4K UHD Copy, Ripper, Creator, Converter to Blu-ray and also Cinavia protection removal. All the features and special specifications described above (for DVD, Blu-ray) are also included in 4K UHD disks so we won’t mention them again here. Have a look at the official website for more information. Pros: DVDFab’s simple interface and strong feature set makes it one of the best programs we evaluated. Cons: Slight color distortions may be noticeable on large HD televisions. The Verdict: After familiarizing yourself with the list of features, copying a perfect DVD will be a breeze. It’s true that you can get software to copy DVDs free, and one of those products might be perfectly capable for your needs. However, if you are like me and have a few precious DVDs that are slightly damaged and unreadable by other software, DVDFab is a lifesaver and well worth the price. In my testing, it was the only software that could reliably copy any DVD I threw at it regardless of condition. DVDFab supports batch conversion, multi-core CPUs and NVIDA CUDO technology for faster operation. All DVDfab software products are easy to use for beginners and also offer customization options for more experienced users. Preset profiles make everything simple. You don’t need any knowledge about output video formats in order to use the software. Products work with Windows XP, Vista, Windows 7, Windows 10 (32 bit or 64 bit). DVDFab has several special offers, bundling together various DVDFab products, with savings from $26 to $160 on the final price. DVDFab’s Blu-ray Toolkit includes all of DVDFab’s Blu-ray apps with a huge discount. Also, DVDFab All-In-One package includes all of DVDFab products in a single package again with a big discount tag. Other bundles are available, such as DVDFab DVD Copy plus DVD Ripper, DVD Passkey plus Blu-ray Passkey, and others. In addition to the bundles, DVDFab is currently offering a 20% discount on all their products, making it a great time to order (use coupon code B2S20). Our recommendation is to try all the tools for 30-days without paying and then purchase only the specific software for your own needs (DVD, Blu-ray, 4K UHD etc). Note: Tech21Century.com does not advocate the unlawful distribution of DVDs or Blu-Ray disks. Purchased DVDs/Blu-Ray should be copied for backup and archival purposes only and you should not copy DVDs/Blu-Rays that you rent. You should also know that it is considered illegal to break the copy protection code on a DVD/Blu-Ray.